Metrology MAEM’s metrology laboratory is equipped with the highest quality coordinate measuring machine and 3D scanner. Components are meticulously measured, with an accuracy of 0.005mm on average. This is an extremely important process as the manufactured elements rotate at a high speed in work cycles. Any error at this stage could lead to improper installation and damage to cooperating elements. Following the first two processes, we develop our own technical documentation and then the next phase begins: prototype production. Trial batch manufacturing is preceded by 3D printing of the component. We can thus finally verify the measurements taken before starting the prototype production. At this moment, the reproduction process is completed. Organisations reproducing the original products end their work at that. They obtain a product which duplicates the original product features and properties. At MAEM we are going forward… Material strength What differentiates reverse engineering from duplicating are strength testing of the manufactured component as well as various activities aimed at correcting and enhancing the original component. At MAEM we have a testing centre where manufactured elements are tested for hours on machines they are intended for. At MAEM we believe this is a key to the company’s success, we are proud that we can create a product that is better than the original one. 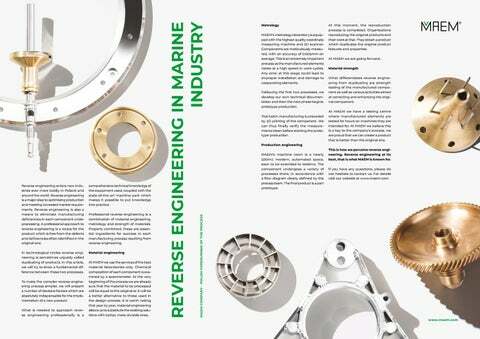 Reverse engineering enters new industries ever more boldly in Poland and around the world. Reverse engineering is a major step to optimising production and meeting increased market requirements. Reverse engineering is also a means to eliminate manufacturing deficiencies in each component under processing. A professional approach to reverse engineering is a recipe for the product which is free from the defects and deficiencies often identified in the original one. comprehensive technical knowledge of the equipment used, coupled with the state-of-the-art machine park which makes it possible to put knowledge into practice. In technological circles reverse engineering is sometimes unjustly called duplicating of products. In this article, we will try to show a fundamental difference between these two processes. MAEM’s machine room is a nearly 500m2 modern, automated space, soon to be extended to 1000m2. The component undergoes a variety of processes there, in accordance with a flow diagram clearly defined by the process team. The final product is a part prototype. This is how we perceive reverse engineering. 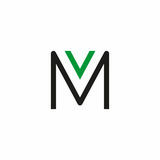 Reverse engineering at its best, that is what MAEM is known for. If you have any questions, please do not hesitate to contact us. For details visit our website at www.maem.com. Professional reverse engineering is a combination of material engineering, metrology and strength of materials. Properly combined, these are essential ingredients for success in each manufacturing process resulting from reverse engineering. Does reverse engineering mean the same as product duplicating? In this article you will find major differences between those two.